BONSAI GARDENING SECRETS Is a must have ebook for all enthusiasts wanting to grow beautiful bonsai trees and learn the secrets to bonsai care. GET THE INSIDER SECRETS TO CREATING BEAUTIFUL BONSAI! This book is packed with 97 pages of step by step instruction on how to grow and care for your own bonsai trees. I highly recommend this book for anyone looking to understand bonsai care and better their knowledge on the ancient art! Whether you have just one or many bonsais this book has all the information you will need to become an expert grower. After many years as a bonsai enthusiast, finding good sources of information has been a struggle. This one book opened up my eyes to a whole new way of looking at my collection, and has helped improve my bonsai to new levels! If you are a beginner or even the most advanced bonsai grower, I think this book has something for everyone! A few years ago I was researching online for more information on bonsai instructions that I could use for my beginners classes that I teach at a local nursery. I have many hard copies of bonsai books from around the world that I regularly reference during my classes, and my 20 years of growing bonsai gave me confidence that what I was teaching was up to date and relevant. I came across bonsai gardening secrets and although a little dubious at the time (as I had never purchased an e-book before) the cost seemed small for all that the booked promised to teach me. After downloading my new book and several bonus books that came with it, I proceeded to print out 97 pages (I hate reading stuff off a computer screen!) and began to read what I believe to be the most comprehensive guide on the subject of how to bonsai I have ever seen! 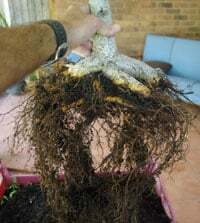 Although a little conflicting with some of the theories and beliefs of other bonsai experts, I found Eriks point of view very relevant and prompted me to re assess some of the ways in which I train and care for my own bonsai trees. Bonsai Gardening Secrets is an easy-to-follow step-by-step guide on how to grow your own Bonsai trees. 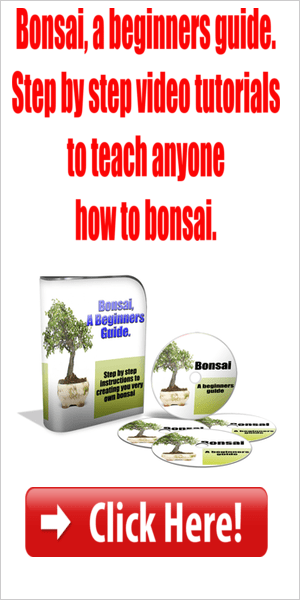 If you are a complete beginner and never tried to grow your own bonsai, this book will show you all you need to know. The book has 97 pages and is written in an easy-to-understand language, without any scientific jargon. 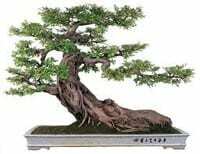 The main benefit I gained from it was the way Erik has explained specific rules for the major parts of bonsai. The trunk, the branches, the pot and even rules regarding the culture of bonsai. Just like any other art form, bonsai has specific categories that styles and varieties fall into. Although I don’t like the word “RULES” as this gives the impression that there is no room for personal expression, the rules that he has written helped me re assess a lot of my own bonsai collection and improve their over all quality. After reading so many other bonsai books previously and spending hours online researching and reading hundreds of articles, I was surprised at how much information was in bonsai gardening secrets that I had not found elsewhere! There is a lot of information that if your a beginner might not yet be relevant, but if you wish to make growing bonsai a lifelong passion then you will definitely use this information in time. Bonsai Gardening Secrets goes all the way from choosing the best bonsai trees for a beginner, to re potting, pruning and fertilising your bonsai for optimum health. I can not recommend this book highly enough for anyone who is interested in, or serious about learning the art of bonsai. Most of the pictures in this book are a bit small and not all that inspiring, but I suppose I have a lot of other books that make up for that! Growing bonsai has been a past time of mine for many years and the satisfaction that you can experience when a tree truly starts to take shape is something you have to experience for your self to understand. Many people over the years have admired my collection of bonsais and commented on how they too had a bonsai once but it died, usually due to their lack of knowledge on caring for bonsai trees. Growing a quality Japanese bonsai trees could certainly be a talking point when visitors come around and see your bonsai proudly displayed on your coffee table or ornamental stand. This introduction to Japanese culture could be the starting point for a much larger theme or focus point in your house or garden. With urban expansion and yard sizes and gardens having to be kept at a minimum, having bonsai can be a great alternative, several trees set out in a courtyard evokes the feeling of calm and tranquil while pruning and shaping your little trees sometimes almost puts you in a meditative state as you lock out the outside world and focus purely on creating a living art form! Growing bonsai has many wonderful benefits, so learning how to go about caring and training your trees properly, and keep them alive and healthy for many years is all part of the challenge! Bonsai Gardening Secrets and learn how the experts do it!